As women of color, we are passionate about equal rights in this country. In this tumultuous time in history, it is important for us to remember that we are not alone and that we matter. 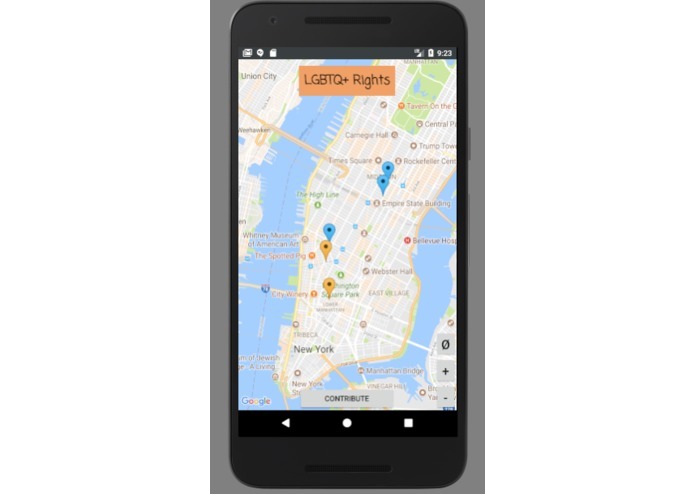 We were inspired by the upcoming NYC Pride Parade that also has a rich history. 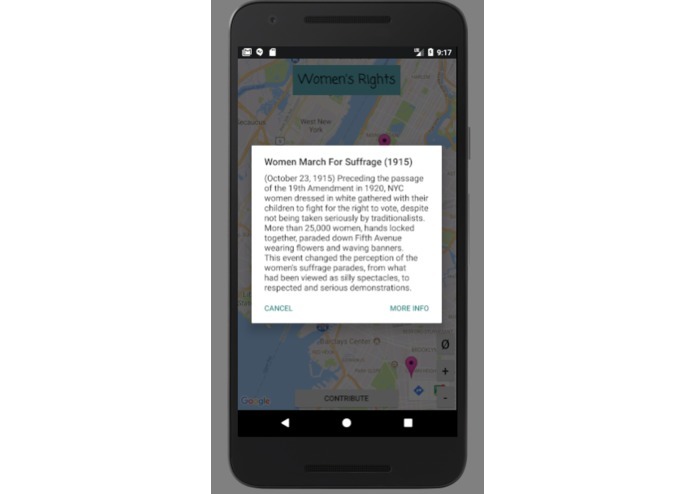 We want to piece together a collection of places of historical significance and current equal rights events. 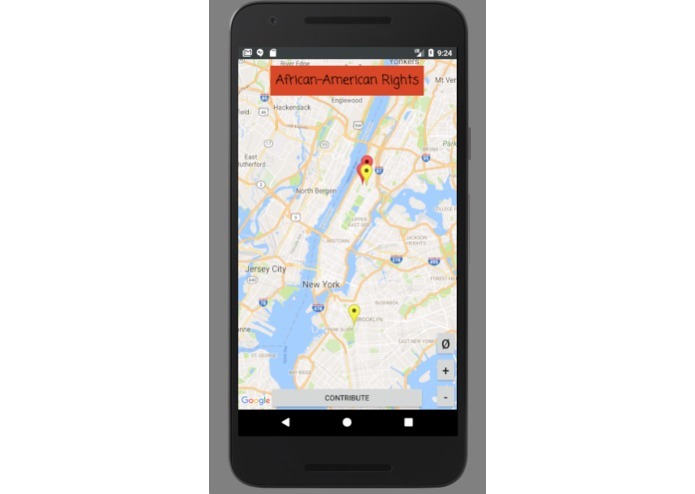 This app provides an map interface that the user can interact with by selecting the markers and learning more about the events. 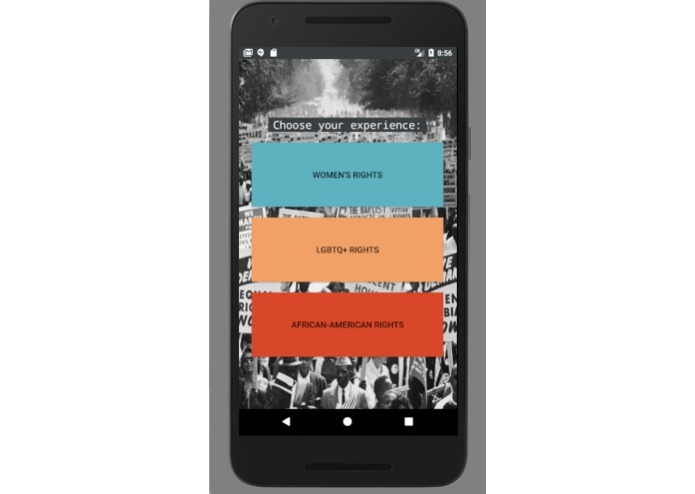 On the user friendly front screen, one can select the issue they care about: women's rights, LGBTQ rights, and African American rights. 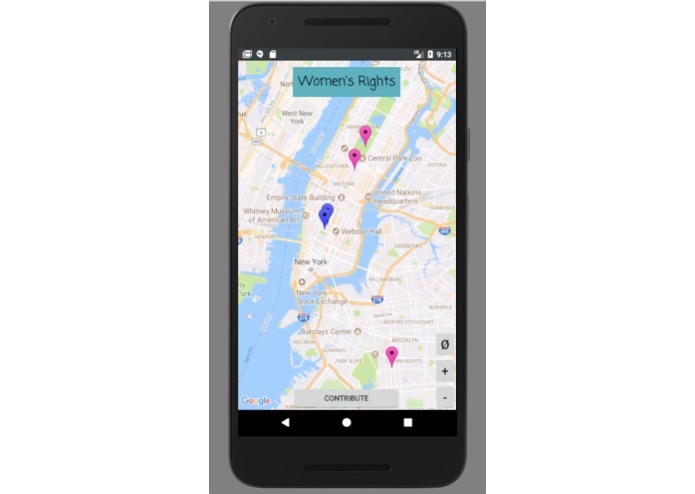 Selecting one leads you to a map interface with zoom in, zoom out, and recenter features. Clicking on the marker shows you the event and clicking in the info window allows you to see a blurb about it. To get more information and directions there, the dialog box button "more info" directs you to an informational webpage. We used Android Studio to set up the app. We used XML to make the page layouts and the Google Maps API to set up the maps. Dialog boxes were used to provide the information to the user. Pictures and photoshop were used for the background picture and the logo. We are new to Android Studio, but the workshop on Android development and assistance from the mentors really helped. At first, we wanted to use a navigational drawer template that had Google Maps interface on the contents screen. However, this proved very difficult and a mentor suggested that we use the Google maps template and work from there. We created a main screen that, with a click of a button, would redirect you to the corresponding map, which solved the template issue. Next, Google Maps would not show up. The problem, after much research, was because I had the wrong API key. Then, there was the issue of the markers not showing up, but it was fixed by moving the function that changed the camera view to after all the markers are made. A huge issue was that the info window of the marker did not wrap text, and we needed a large amount of description there. The solution was found by calling a dialog box when the info window was clicked that would be able to wrap the text. 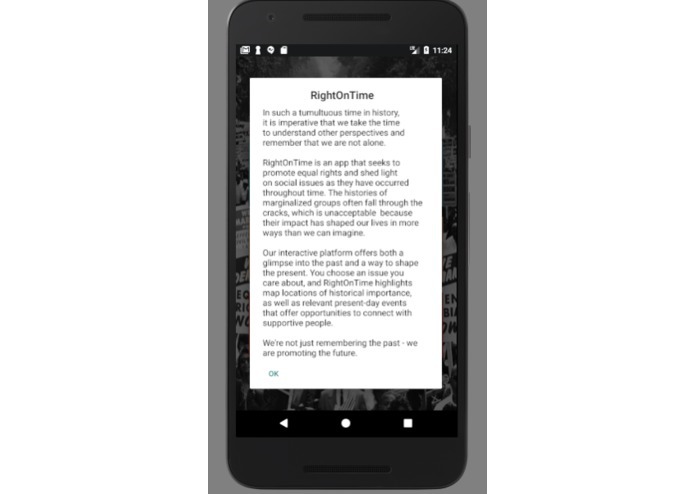 We never touched Android Studio or app development before, so for our first app, we're pretty proud of it. The design is attractive and sleek, and the interface has essentially no bugs. We used Google and Android documentation to learn more and faster than we ever could have in a class. By problem solving, we made a great app that works well and is engaging. We used Android Studio for the first time, so we learned how to use the XML layouts, change screens, and have events for clicked buttons. 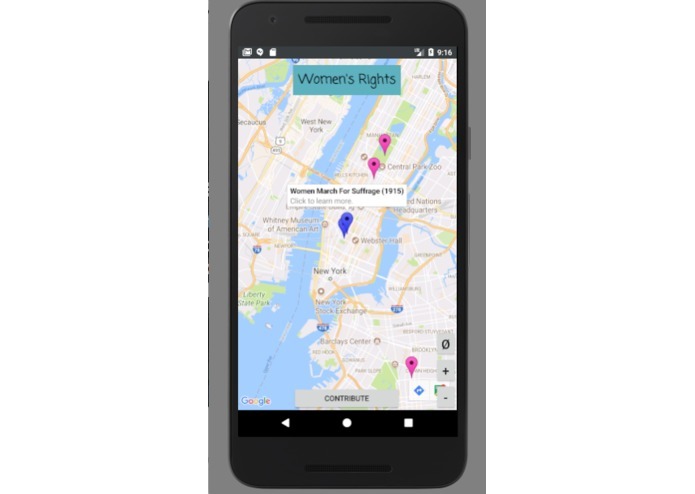 We used the Google Maps API for Android Studio for the first time, and online tutorials were very helpful. We learned how to debug better and learned about the process of app making. Most importantly, we learned how to problem solve and troubleshoot issues during app development. 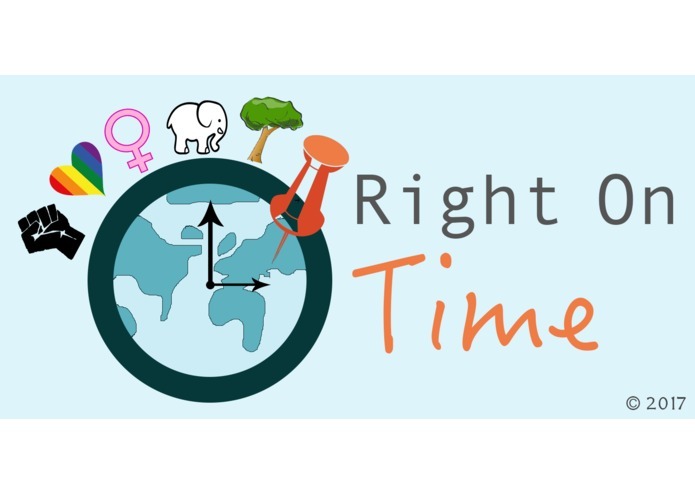 Provide more issues to learn about: environmental, animal, Muslim culture, etc.